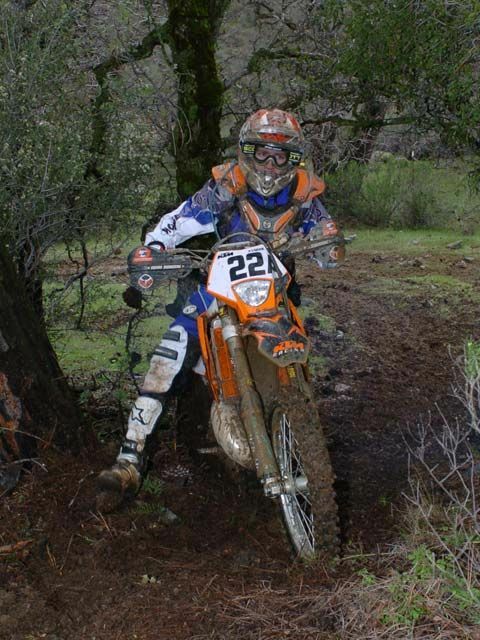 Billy Russell seems to wear a perpetual smile, but that grin was even bigger than normal after the 33rd annual Quicksilver National enduro north of Coalinga, California, round one in the AMA/FMF Racing National Enduro Series. That's because the young man from nearby Watsonville pulled off what might be called an upset win on his KTM 250, taking advantage of the sloppy conditions with heads-up riding and familiarity with the area. But that would disregard Russell's accomplishments. He did, after all, finish eighth in his first year racing the series (last year) and plans to follow it again this year, trying for an even better finish. After trailing Tim Taber on the first loop, he took the lead by dominating the second loop (the original third loop was cancelled due to the conditions) and ended up dropping 20 points. 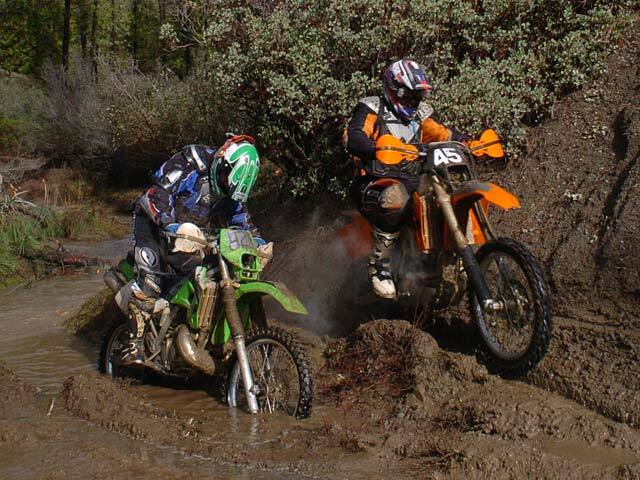 When asked to reveal the key to his victory, he replied, "Mainly, it was whoever did best in the mud hole." Russell dropped 14 points in that section alone, one better than many other top contenders like Steve Hatch, Mike Lafferty and David Lykke. Russell then pulled away on the second and final loop, zeroing the race's eventual final four checks. Lykke lodged a protest afterwards, contending that the mileage was off at a reset marker. An investigation by officials found him correct so they threw out what would have been the last two checks. Veteran enduro rider Matt Stavish threatened that last year's Quicksilver would be his last, but when he DNFed, he felt he had to come back at least one more time. He's glad he did because he rode his CRF250X to his best-ever Quicksilver finish, his 24 points good for second overall and making up for the DNF he recorded last year. 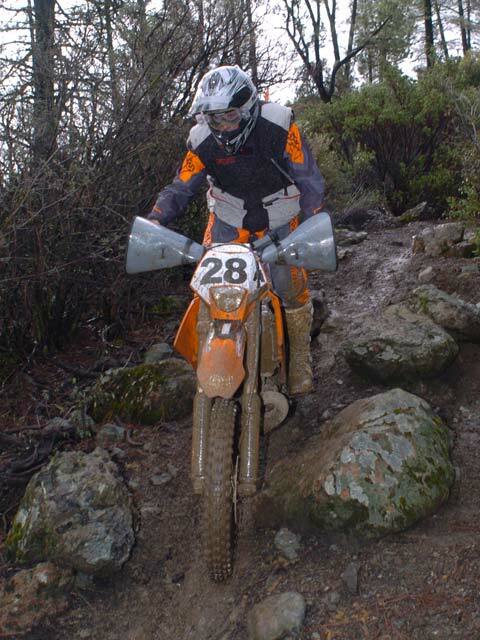 KTM's Lykke ended up third with 25 points after officials upheld his protest, equaling his best finish at a Quicksilver. 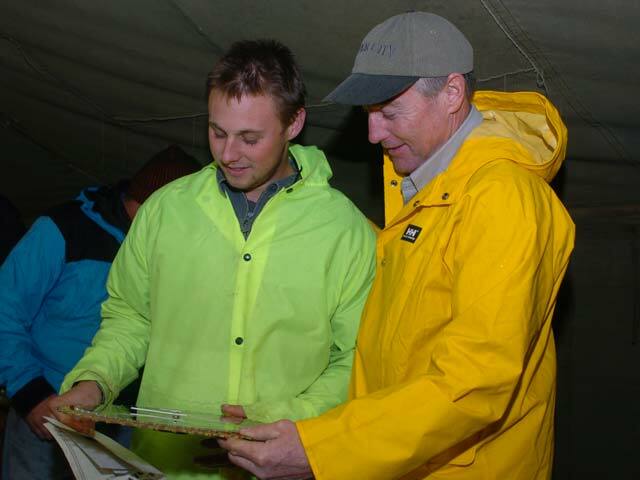 Hatch and Lafferty both scored 26, with Hatch earning fourth-place points upon review of the two tie-breaker checks. The running of the race was in question all week due to the storms that had lashed California all week. 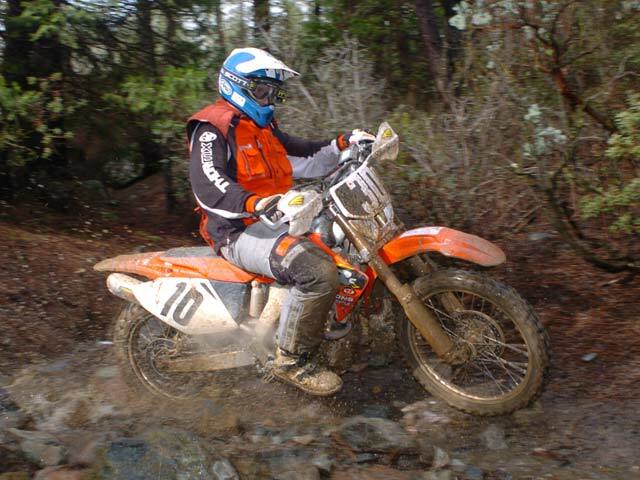 The BLM, which has jurisdiction over the Clear Creek OHV Recreation Area, left it up to the local ranger, William Schwarz, and he gave the Salinas Ramblers Motorcycle Club the green light at 5:00 P.M. the day before to the relief of many. The uncertainty and threatening weather (though it didn't rain during the race) did keep a number of riders away, including defending National Champ Randy Hawkins, defending race champ Ty Davis and series veteran Fred Hoess. Round two will take place next weekend in Arizona. Even though long-range weather forecasts indicate the potential for rain, the rocky desert terrain at the race site ensures minimal environmental damage and little possibility of cancellation. There's also little chance that Billy Russell's smile will fade by then either.